Based on information from the 2011 Census, the Australian Bureau of Statistics (ABS) estimates that there were 713, 600 Indigenous people living in Australia in 2014 . NSW had the largest number of Indigenous people, and the NT had the highest percentage of Indigenous people. Indigenous people made up 3% of the total Australian population. For more details on the Indigenous population in each state and territory see Table 1. In 2011, around one-third of Indigenous people lived in major cities . more Indigenous people identified as ‘Indigenous’ in their response. 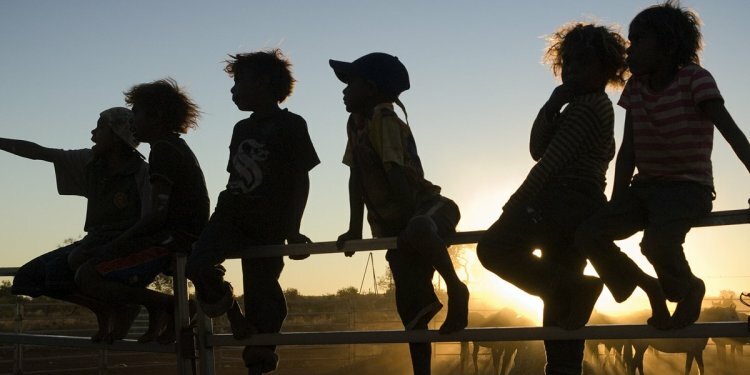 In 2011, 90% of Indigenous people identified as Aboriginal, 6% identified as Torres Strait Islanders, and 4% identified as both Aboriginal and Torres Strait Islander . The Indigenous population is much younger overall than the non-Indigenous population. In 2011, more than one-third of Indigenous people younger than 15 year of age (compared with one-fifth of non-Indigenous people) . Almost 4% of Indigenous people were 65 years or older, compared with 14% of non-Indigenous people. Figure 1 is a population pyramid; it shows a comparison of the age profiles of the Indigenous and non-Indigenous populations . The bars show the percentage of the total population that falls within each age group. The general shapes of the Indigenous and the non-Indigenous pyramids are different. The Indigenous pyramid is wide at the bottom (younger age-groups) and narrow at the top (older age-groups); this shape shows that the Indigenous population is a young population. The non-Indigenous pyramid has a more even spread of ages through the population.